A security safe will provide very little burglar resistance for its contents if it hasn’t been installed correctly. Worse still, an insurance company will most likely refuse to cover any losses if it emerges that the safe was incorrectly or inappropriately installed. For a security safe to be correctly installed, it must be anchored to either a wall or floor by means of a fixing kit. In most cases, this takes the form of boltwork which enters the safe through holes in its base or in its rear wall. Different sizes of safe may require several anchor bolts, while some might only require one. In most cases, the manufacturer will supply appropriate bolts. It is vital that only the supplied bolts — or bolts of an identical specification — are used. 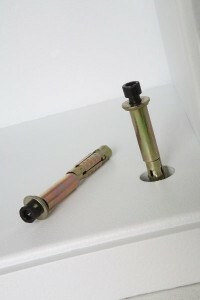 The purpose of this anchoring system is to prevent the unauthorized removal of the safe. Modern security safes are increasingly lightweight thanks to advances in technology. This in turn makes them quite portable and easy to carry, especially in the case of smaller models designed for the home. Without anchoring, a thief could simply pick up the safe and walk away, then break into it at his leisure in some other location. Even larger, heavier safes could potentially be vulnerable if not bolted down. A determined burglar could easily make use of lifting equipment such as a trolley or even a forklift. For this reason, all high security safes with a weight under 1,000kg must be anchored. During independent safe tests such as the EN 1143-1, the strength of the anchor bolt is stringently tested. It is important to consider where your safe is going to be installed, as certain types of floor and wall will be unsuitable for the safe’s anchoring system. Wooden floors or plasterboard stud walls will provide very little resistance if an attempt is made to rip the safe from its anchor. In fact, it’s quite likely that such materials will just break apart. Not only will your safe be gone, but you’ll also have a sizeable hole in your wall or floor to repair. Weight: Larger high security safes can easily weigh from 500kg to 2 tons. 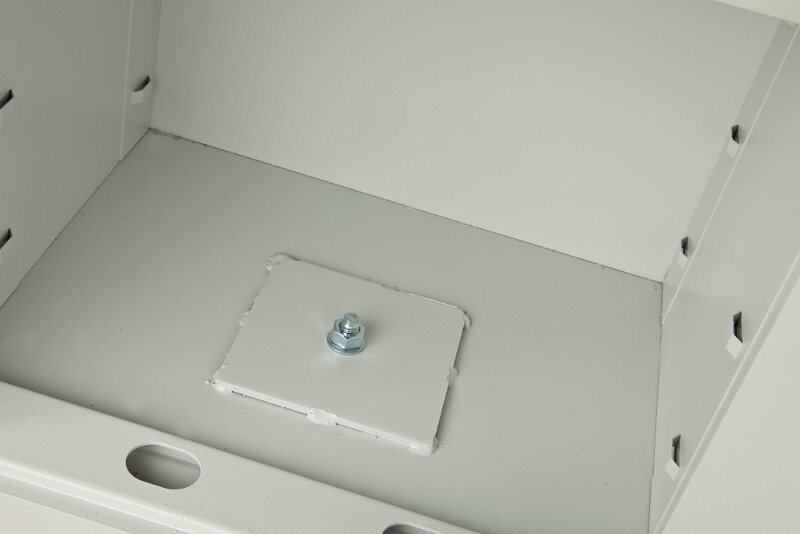 If you plan to install the safe anywhere but on the ground floor, be sure the floor can withstand its weight. You should also be sure there is some means of getting the safe to your chosen location (e.g. a suitable lift with an appropriately high weight limit). Environment: Most security safes feature a protective powder coat finish, but permanently damp conditions are still less than ideal. If you live in an area prone to flooding, positioning the safe in a basement or on a ground floor might not be advisable. Concealment: How better to protect your safe and its contents than by making sure it can’t be found by burglars in the first place? Most burglars will start their search for valuables in the main bedroom of a house, so consider installing the safe elsewhere. If possible, you might even consider concealing it in some way. Accessibility: If you intend to frequently remove and replace items in the safe (e.g. jewellery, expensive electronics used daily, etc. ), then you’ll most likely wish to install the safe somewhere that is relatively easy to access. Appropriate space: Remember to allow room for the door of the safe to open fully. If the door is impeded by a nearby wall or other obstacle, it may not be possible to place larger items in the safe. You should also bear in mind that if you plan to bolt the floor to a wall, you will have to remove a portion of skirting board so that the safe rests completely flush to the wall. Leaving a gap would make it easy to pry the safe loose. In some cases, it might be undesirable or simply impossible to install the safe using its bolt anchoring system. Such situations might include a house or office with underfloor heating which might be damaged if a bolt is driven into the floor. In these situations, it is possible to use a strong chemical adhesive to bond the safe to the floor or wall. This should only be done as a last resort and in consultation with your insurance company, as it will be practically impossible to move the safe again once the adhesive has set.